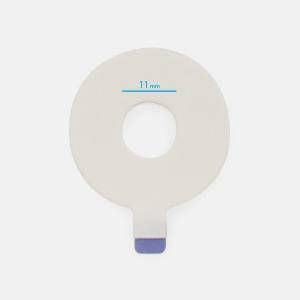 A double sided adhesive disk designed to aid in holding any electrode in place with minimal skin irritation. 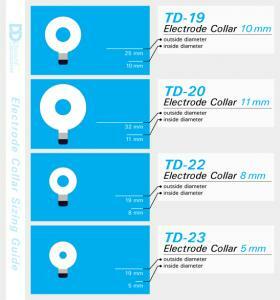 Printable Sizing Guide to ensure that you have selected the correct electrode collar. 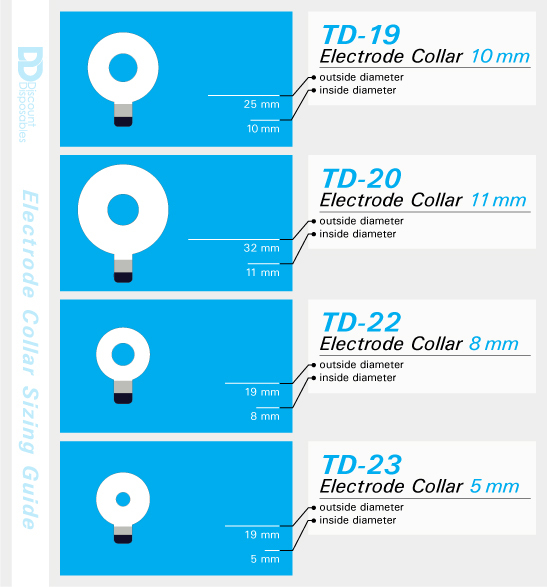 NOTE: To ensure the image will print to-scale on letter (8.5" x 11") paper, please download the jpg image file, then print it from your choice of image software at 100% scale. Do not print from the preview page.